Office 2016 for Mac was released today for O365 Subscribers. Let’s review what it includes and how to get it installed. Over the past month, Microsoft has been dropping updates for its Office for Mac client and today they announced Office 2016 for Mac has landed — Version 15.11.2 (150701). 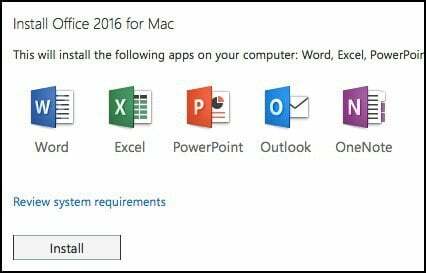 The Office Suite for Mac includes a new Microsoft Word, Excel, Powerpoint, Outlook and OneNote. Unfortunately, no updated Skype for the Business client for Mac. As mentioned in the announcement, the Office 2016 for Mac is only available for download to Office 365 customers. Everyone else will need to wait until September when it will go on sale as a standalone purchase. Office 365 Customers can download the Suite from the Office 365 Software Portal. 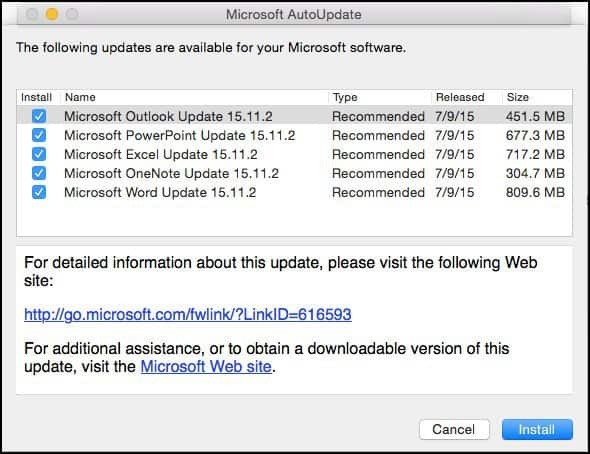 For those users who already have the Office 2016 for Mac, you can just run the Microsoft AutoUpdate tool and you will be automatically upgraded to the Official release Version 15.11.2 (150701). If you don’t remember how to run AutoUpdate on OS X, open Outlook or Word 2016 and click Help > Check for Updates. If you’re looking to package the individual .pkg files for each application vs. the entire suite, you can grab them from the July 9th knowledge base page – KB3074479. The KB article mentions OS X Yosemite 10.10 or later as a prerequisite for installing the software.